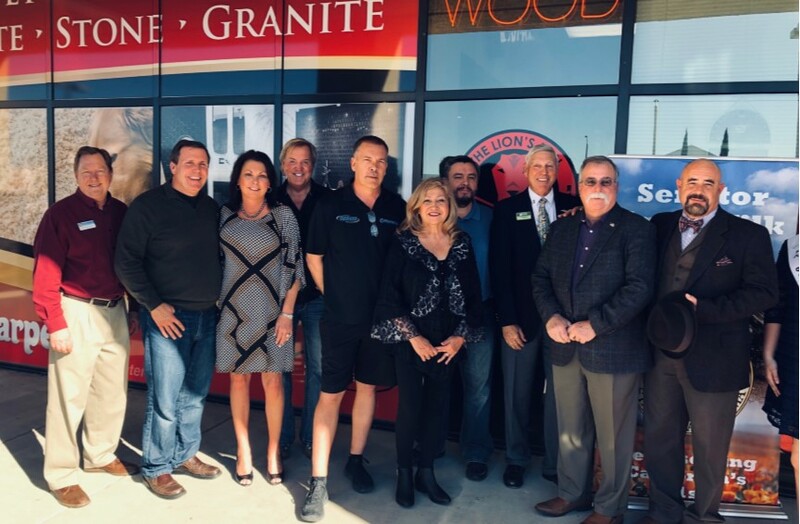 LANCASTER – Senator Scott Wilk, representing the 21st Senate District, honored Carpeteria Flooring Centers in Lancaster as “Small Business of the Month” for January 2019. 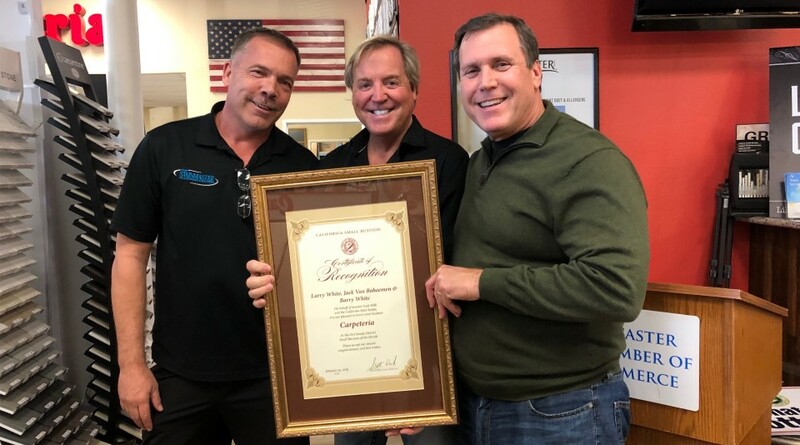 Wilk presented the award recently to Carpeteria owners Barry White and Jack Van Bohemeen. Community members, local businesses, customers, family and friends joined the celebration. Carpeteria has a reputation for customer service, integrity and high quality product. When a customer has an issue with their flooring, White and Van Bohemeen personally show up to the customer’s house to resolve the problem. Carpeteria sponsors local charities such as Grace Resource Center in Lancaster, which provides essentials for residents in need; and the company has also donated to South Antelope Valley Emergency Services (SAVES), a Palmdale operation that works with non-profits to offer vital services to families and individuals in need.